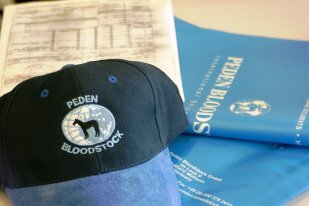 Peden Bloodstock will always ensure that the most up to date health protocol is determined and confirmed by the receiving country prior to preparing your horse for travel. We will personally liaise with yourself and your veterinarian regarding the specific shipping requirements. We will organise everything that you will need to transport your horse around Europe including rucking or internal charter flights for your horses; Ferry and Eurotunnel Bookings;Government issued health papers; Veterinary inspections; Stabling and Horse Society Registration Liaison. An official ministry veterinarian must inspect the equidae within 48 hours of export and consignments must be accompanied by a valid TRACES document known as an ITAHC (Intra-Trade Animal Health Certificate) which is signed by the Official Veterinarian of the country of origin and valid for 10 days. Horses which are resident in, and originate from, the UK, France or the Republic of Ireland can travel under the terms of the Tri-partite agreement and must be accompanied by an FEI passport but do not need a health certificate. Horses may only be imported into the EU from approved 3rd countries. Horses coming from approved third countries entering the EU for a period of less than 90 days should be accompanied by a passport and an appropriate health certificate signed by an OfficialVeterinarian of the Veterinary Authority of the country of origin. Horses coming from approved third countries entering the EU on a permanent basis (more than 90 days) should be accompanied by a passport and an appropriate health certificate signed by an Official Veterinarian of the Veterinary Authority of the country of origin. All horses entering into the EU from a third country must do so via a Border Inspection post. Health Protocols differ for entry into every country outside of Europe. Please contact Peden Bloodstock and we will advise you of the requirements for your chosen destination.